One of the biggest challenges facing brands in the era of always-on, streaming-everything is attribution. What was it that made a campaign a success? For performance marketers, the answer is easy. It could have been a specific demographic segment or a better headline you’ve A/B tested. It could have been the color of the call-to-action. This data is black and white. Stuff works or it doesn’t. Most marketers these days are tagging with cookies or tracking every user’s IP address. First touch attribution is a benchmark metric for performance marketers. In experiential marketing, first touch attribution is much more complicated. Without a digital signal to tune into the noise, any conversion can be attributed to the event. Discovering the first customer motivation to act is the keystone of marketing “best-practices.” Simon Sinek’s book “Start With Why” does an excellent job of explaining this. The “why” is your customer’s motivation, causing them to take action in the form of a marketing funnel. It all starts with a desire, or a need, for your business. But for live events, the motivation is different. Many customers are motivated by the lights, the sounds, the action of an event. Something has intruded into their world. Something which was not invited in. The audience did not Google a problem they had and found value in your solution. They did not inquire via a contact form and they certainly did not ask for their world to be turned upside down. There are two things happening here. The medium has become the message and the value exchange has shifted to the brand side. First, the medium is the message. I’ll try not to make this too confusing. The medium, in this case, is the customer’s physical reality. They have entered a trade-show floor, or their local park is now sponsored by a big-box store like Target or Best Buy. The medium (reality) being used to convey the brand message is ubiquitous. It is overtaking all senses, and they have no choice to tune it out or click away. The message that this medium (experiential) is conveying to the audience is that they don’t matter. By default, you are taking away all control of their environment. Their experience is the message. And just like that, experiential marketers are starting from behind. 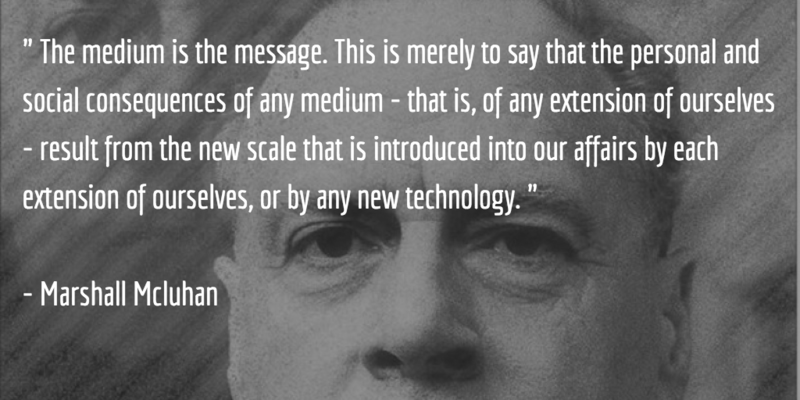 Marshall Mcluhan put it more eloquently. Secondly, the uneven value exchange. In traditional advertising, the audience is giving their attention in trade of free (or cheap) media. They want to watch The Big Bang Theory, so they pay with their attention, and advertisers are willing to supply the capital. However, in experiential marketing, the value of their attention isn’t being bartered. They might get some free stuff, brand swag, new koozies, etc. but at the end of the day, the audience wasn’t asking for this stuff. They want Big Bang Theory. This is another challenge facing experiential marketers today. They know they want to convey these important brand messages, and they know where/when/how they want to do it. But the audience might not turn up. They might not change their purchasing habits because of an experience. And even if they did somehow change their minds and started buying from your business instead of the one across the street, how would you know the experience had an effect? How do you calculate the ROI attribution model of an event? Social media can funnel your audience into a specific, trackable medium. SMS is a great option for this, since mobile phones are easy, and marketers can always add phone numbers to a CRM, but the real brand engagement is social. Social says, “I went to a party, and here’s my friend [YOUR BRAND HERE. ]” It’s a soap box and naturally compounds the effect of your audience conversion point. Using social media shares as your experiential conversion metrics is the holy grail: both active engagement and a real relationship with your audience. If social media is a soap box for your audience to preach good will about their new favorite brand, the downside is the siphoning of your primary audience: the people at your event. If they are posting photos or checking in with your brand, they’re not being engaged in real-time. The timeliness is the experience. If they’re Instagramming, it’s for later, not now. Most social networks use algorithms that put most relevant posts at the top and no longer organize social posts in chronological order. This is great for advertisers who pay for top placement but terrible for organic engagement. There are two exceptions: Twitter and Snapchat. The two social platforms that are truly “real-time.” For more information on maximizing Twitter for your marketing, stay tuned. It’ll be an upcoming article. However, this article is about Snapchat. Recently, Snapchat outpaced Twitter’s DAU’s and is one of the most unique social networks ever created. Live events are a great way to experiment with various marketing tactics and content. Create a game that allows your audience to provide rapid feedback on these experiments. 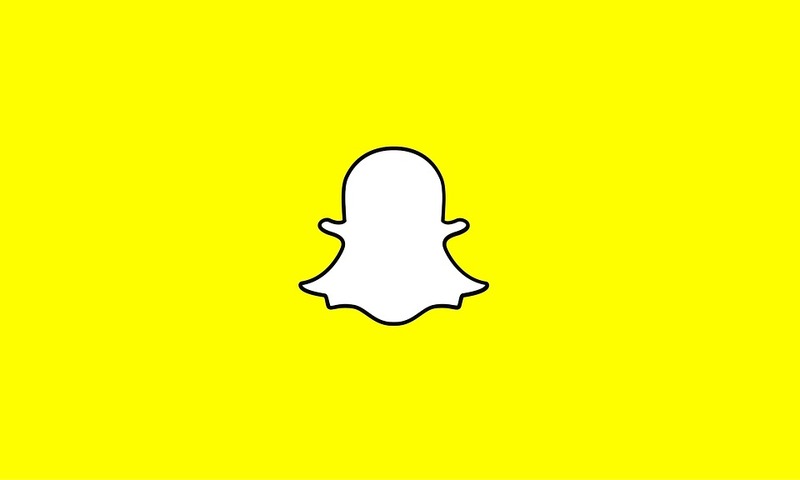 Use Snapchat views as a metric to test the success of a certain experience over another. By evaluating which was used more, you’ve just split-test a live event. You’re a wizard, Harry. Snapchats geofilters are cheap, for now. Gary Vee has written a great post about these filters, how to use them and the results he’s gotten. Go read it so Gary sees this blog as a referral on his Medium metrics. What’s up Gary? Ask your Snapchat audience to follow you. That’s the easy part. The hard part is sending your audience one snap a day. Create a theme for your Snapchat strategy that is top of the funnel and easy to understand. Solve a customer’s problem. No photos, just video. Some people think that social media and mobile-everything is ruining human interaction. I disagree. As a marketer, I can see the opposite is true. I think there is a lot of hope in experiential marketing and hope for humankind. Snapchat may just be the catalyst.